A new development with an agricultural twist west of Lion Country Safari on Southern Boulevard hit two milestones Friday. The first home sale in Arden closed Friday, the same day project developer Freehold Communities announced a new home-builder has signed on. Joining Ryan Homes in building Arden’s first phase is Kennedy Homes, which will offer six single and two-story models ranging in size from 2,500 to 3,300 square feet and priced from $439,900 to $551,900, Arden said in a news release. The massive neighborhood will span 1,200 acres and have 2,000 homes once completed, with Kennedy Homes building 56 of those residences, spokeswoman Julie Fanning said. Ryan Homes is building about 200 of the total single-family houses in Arden, with prices ranging from the mid-$340,000s to the low $470,000s. There will be four builders involved with the project. The next two will be announced soon, Fanning said. That connection between nature and home is key to Arden, which touts itself as an “agri-hood” with nearly 200 acres of lakes, 20 miles of trails and a great lawn for events. The development will feature a working five-acre farm with produce that will be shared by residents. A two-story clubhouse scheduled to open in the spring will have a pool, a cafe, meeting and event rooms, and a fitness area. Residents will pay a monthly homeowner’s association fee of $246 to cover maintenance. 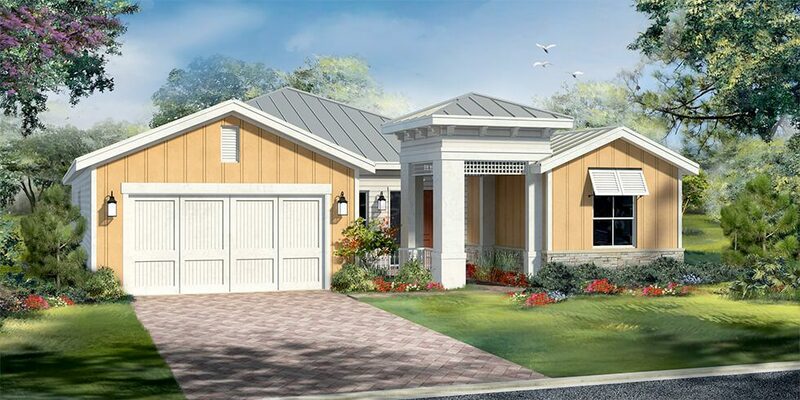 With its models expected to open in May, Kennedy Homes’ temporary sales office is at 11000 Prosperity Farms Road, Palm Beach Garden.